Where to go Next: Oaxaca! 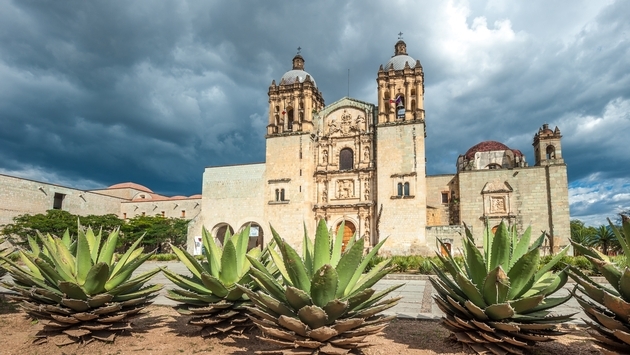 Oaxaca is known as one of Mexico’s top cultural destinations. Tourism numbers continue to climb and, as visitors are drawn to the region’s colorful streets and bustling plazas, the area continues to blossom with upmarket hotels, restaurants and cultural attractions. It’s easy to see why people are heading to the valley en masse. Oaxaca hits all the marks when it comes to what travelers are looking for in a destination these days. Culinary exploration, check. Historical sites, check. Unique local experiences, check. Oaxaca is known for its traditional cuisine, whether its flavorful moles made from generations-old recipes or, on the sweeter side, chocolate production in shops on Calle Mina. One of the most popular things to do when visiting Oaxaca is to do a deep dive into the city’s mezcal culture. Visitors can find mezcal at just about every restaurant and they will have their choice when it comes to how to engage with this traditional liquor. From bars and nightclubs to small eateries tucked into hidden courtyards serving small-batch productions, visitors will not have trouble finding the ideal way to sample mezcal. For a historical perspective of the region, travelers can head to the pre-Columbian archaeological site at Monte Alban, one of the earliest cities in Mesoamerica and an economic center of Zapotec society for more than 1,000 years. Templo de Santo Domingo de Guzman is a church and former monastery that is an iconic architectural symbol of the region. The Museo de Arte Contempo­raneo de Oaxaca (MACO) gives visitors both a historical perspective as well as a look at the region’s deep connection to art and creativity. Oaxaca is also well known for its textile production and its Museo Textil de Oaxaca showcases traditional weaving methods and details the art of the contemporary textile. Visitors who are into the region’s colorful textiles will have no trouble finding a piece to bring home. Fair-trade stores sell traditional garments or huipiles that are made in surrounding neighborhoods.